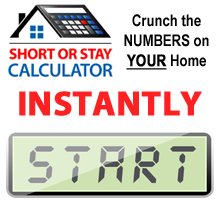 Does My Situation Qualify Me For A Short Sale? Many distressed homeowners often wonder if doing a short sale is the best move for them financially and if their situation would even qualify them for a short sale. So, what types of homeowners do short sale specialists actually help? Quite honestly, short selling your home isn’t always the right solution for some homeowners, however, there are numerous short sale specialists in the Las Vegas area that are here to help you determine if a short sale is the right decision for you financially. If any of the following situations apply to you, we recommend you contact a Las Vegas short sale specialist to further discuss your situation and options in order to avoid foreclosure. The first situation, according to area short sale specialists, is if a homeowner is behind on their mortgage and is also unable to pay all of their other monthly bills. If this situation applies to you, doing a short sale would help you get rid of some of your lingering debt. There are also certain situations in which a homeowner feels as if falling behind on their mortgage is likely to happen in the very near future. If you feel as if foreclosure is imminent, contact a Las Vegas short sale specialist to help. Another common situation for people that short sale their homes is because they have had a significant change in their lives, such as job transfer, divorce, family illness or retirement. You don’t always have to be behind on your mortgage to short sale your home. If one of the aforementioned situations applies to you, please contact a Las Vegas short sale specialist at your earliest convenience. You don’t have to struggle with your mortgage or deal with significant life changes on your own. There are many realtors in the area that are experienced in helping homeowners that have been in similar situations, so don’t hesitate to contact a short sale specialist today.